Back in 1978, Richard Donner made audiences believe that a man could fly, for which he brought Superman, possibly the most recognizable superhero in all of comic books onto the big screen. Thanks to Donner and Christopher Reeve, we will always remember the iconic image of seeing the last son of Krypton take flight. This character’s success spawned four more sequels, unfortunately leading to a decline in quality. 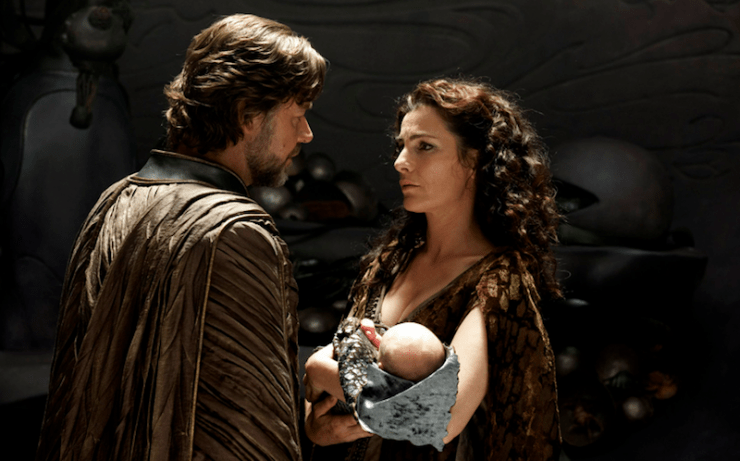 When Bryan Singer was put up to the helm to bring our hero back into the public’s eyes with Superman Returns, fans were left in disappointment with a film with little action and being a love-letter to Donner’s classic film to a fault. While Brandon Routh was not necessarily terrible, he posed as a rather forgettable iteration of the icon that Christopher Reeve will always be remembered for. Not even John Williams’ impeccable Superman March would revive the franchise for the better. So because of the mixed critical reception as well as modest box office earnings, Warner Brothers and DC Comics thought up ideas to eventually reboot the franchise. That is until during production of The Dark Knight Rises in which David S. Goyer told Christopher Nolan of his idea to bring Superman into a modern setting. Nolan being interested in the idea as well brought Goyer’s pitch to Warner Brothers, to which they’ve approved. Soon, the duties for being the director of this new Superman film were entrusted to Zack Snyder, and the actor to step into the footsteps of Christopher Reeve was Henry Cavill. Ever since I saw the first teaser trailer attached to The Dark Knight Rises, I became very intrigued for Man of Steel. But it wasn’t until the second trailer was released in which I was blown away by the mere beauty of the cinematography and the grandness of the scope of what Zack Snyder would be bringing to the table. Since then it became my most anticipated film of 2013 to the point where once the weeks came closer to the release date, it would never escape my mind. But as the film’s reviews came in, I leveled my expectations to a more neutral, yet optimistic level. Especially when seeing that it is currently at 57% on Rotten Tomatoes and many critics leaving entertained yet underwhelmed, I was feeling somewhat weary once I stepped inside that theater. Now having seen the movie twice (once at midnight, and again Friday night), I am able to fully process my thoughts on this film. Man of Steel is an absolutely magnificent film that finally gives the world the Superman movie it was ready for. The casting for Man of Steel was purely fantastic. Henry Cavill is terrific as our protagonist. Cavill’s portrayal as Clark Kent gives a very humanistic side of the character that we haven’t seen since the Reeve era, the mannerisms he has as well as the amount of emotion he gives off just from his eyes gives the audience a chance to truly feel for him as the perilous sequences occur. Amy Adams is a commendable Lois Lane, being portrayed more as a strong female character instead of the traditional damsel-in-distress that Lane’s character could have fallen into. Russell Crowe and Kevin Costner as Jor-El and Jonathan Kent respectively both stand out as the fathers to Kal-El/Clark Kent. Crowe gives off such a presence on screen both physically and through his line delivery. But for me, it is Costner that has the most emotional weight performance wise. Jonathan Kent’s character motivations while hindering towards young Clark Kent and his powers are absolutely understandable and because of Costner’s genuine emotions running wild throughout, once he has to be Clark’s father-figure despite not biologically, his sincerity in his performance brings a tear to the eye. Diane Lane also does a fine job as Martha Kent as does Laurence Fishburne as Perry White. Our main antagonist General Zod played by Michael Shannon does a really good portrayal as well, which I will expand more within the next few paragraphs. Zack Snyder considerably reserved his famous directing-style of using many slow-motion shots in this film which I truly commend him for. He manages to cross that thin line that balances style and substance without leaning towards the former too much. The cinematography in this film is incredible, similar in a way to Terrence Malick’s cinematography in which it has such a beautiful scope and color to it that is wondrous to the eye. The action sequences are as expected mind-blowing leaving you on the edge-of-your-seat throughout, most notably the final climactic duel between Kal-El and Zod. And the script by Goyer proves to be interestingly structured, with the many flashbacks recalling back to Clark Kent’s childhood, straying away from the traditional linear narrative and instead giving a more fresh structure that while some people may find jarring, I definitely found inventive for its type. Even a few liberties that were taken with some of the actual Superman lore were done in a way that benefited for making him a more relatable character. And as for Hans Zimmer’s score… It gave me goosebumps. Following John Williams’ footsteps is not an easy task, for I believe that Williams’ Superman March not only is iconic, but IS Superman. But Hans Zimmer beautifully balanced the upbeat nature of Williams’ music along with his own style of epicness truly representing Superman just from the sensation of feeling like you are taking off to the skies. When watching the film for a second time, I was going in thinking that I would lose enjoyment for the film, which is not uncommon for me when revisiting a film multiple times in the theater. Usually, I would feel less entertained and realize the film’s length, but interestingly enough I loved the film even more. So when it comes to finding any flaws, I have minimal, mainly them being nitpicks and some script flaws that I willingly dismiss. I will say that Cavill and Adams’ chemistry lacked a little bit as their characters’ romance felt somewhat convenient. Also, while the character development with Superman and Zod were both done well, the other characters while passable could have been given more for development, but I dismiss that nitpick mainly because for the purpose I believe Man of Steel set out to do, in being mainly a fresh new take on the origin story, it accomplished that in spades. 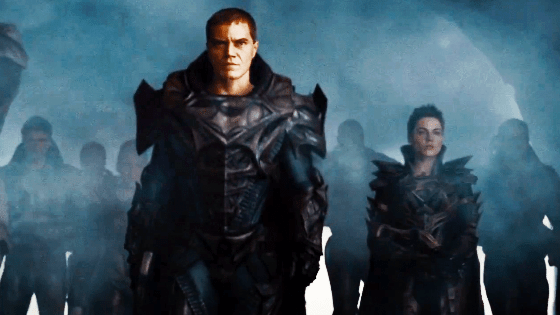 However, what keeps me from going to a 6/5 is the only thing that I can truly say I wanted more of or wished was executed better: Michael Shannon as General Zod. While he did a commendable job for what material he was given and his character had intentions to which you can see where he was coming from as a villain, the performance itself felt a little too reserved, and for an actor like Shannon who has proven to be a phenomenal actor, it is somewhat underwhelming. Nevertheless, Man of Steel truly is the Superman film we waited for and needed. It had the awe and spectacle that I hoped it would have. It had the sense of emotion and story that I hoped it would have. It had the performances (for the most part) that I believed it would have. It had the music necessary, and it had the action we waited for. I completely understand why some people left feeling underwhelmed overall, but I truly believe that the entire film itself achieved its purpose of being a new origin story for this generation and it ends with so much potential for its sequel and possible Justice League movie to incredible new heights. This film has no right to be rotten while Spider-Man 3 and Superman Returns are fresh. Man of Steel is truly magnificent and is of the best superhero films to come out since The Dark Knight.